The anti-immigrant misleader on CNN Lou Dobbs told yet another dishonest statement regarding illegal immigrants on his show this week. As usual, Media Matters ripped him to shreds. On the January 16 edition of CNN's Lou Dobbs Tonight, host Lou Dobbs noted that that the Culinary Workers Union Local 226, based in Nevada, "is encouraging its members to caucus on behalf of Senator [Barack] Obama [D-IL]" and then claimed: "[I]n point of fact, as many as half of the union's members are illegal aliens" [emphasis added]. Near the end of the segment, Dobbs referred to the "Culinary Workers Union, with just about half of its membership assumed to be illegal aliens" [emphasis added]. CNN senior political correspondent Candy Crowley, appearing on-air from Las Vegas, did not challenge either assertion. On-screen text during the segment read: "Many of Culinary Workers in Nevada are Illegal Aliens" and "Fears Illegal Aliens Could Influence Outcome of Vote." An army of union cocktail waitresses, housekeepers and line cooks stands ready to throw its numbers and organizational abilities behind a presidential candidate. But Democrats who hope to enlist the state's largest labor union to try to win Nevada's new early caucus must address issues important to the service workers who make Las Vegas glitter. So it's no surprise that one of the candidates' first stops was at the Culinary offices. Union leaders invited all eight Democratic candidates to address their members. Delaware Sen. Joseph Biden, Ohio Rep. Dennis Kucinich, former Alaska Sen. Mike Gravel and former vice presidential nominee John Edwards declined the invitation, citing scheduling conflicts, union Political Director Pilar Weiss said. Weiss said the members, about half of whom are immigrants, have said they're most interested in candidates' positions on immigration and health care reform. "We expect that the candidates will recognize that we have a service economy and they're talking to service workers," Weiss said. So Dobbs' claim amounts to the assertion that all of the members of the Culinary Workers Union who are immigrants are, in Dobbs' words, "illegal aliens." DOBBS: Democratic presidential candidates tonight are stepping up their battle to win the Hispanic vote before Saturday's caucuses in Nevada. The powerful Culinary Workers Union is to play a critical role in that effort. The union is encouraging its members to caucus on behalf of Senator Obama -- but in point of fact, as many as half of the union's members are illegal aliens. Candy Crowley reports now from Las Vegas. Candy, just how concerned is the Democratic Party, if at all, about possible irregularities -- shall we call them -- in those caucuses? CROWLEY: Well, look, let me tell you what they say -- and this is a couple of officials -- about why they think is this not a problem, OK? They say, first of all, the idea that illegal immigrants who are trying to hide from the law are going to show up, sign an affidavit that they're a U.S. citizen and caucus, seems to, in the words of one, to be ridiculous. They also say that given that, that they really don't see how a massive outpouring of illegals could change a caucus. They said there just won't be this massive outpouring, so there won't be a way to kind of change whatever the caucus decides. I will tell you that also we spoke to a PR guy for a couple of these hotels here, who didn't want to be named, but who said, "Look, these are multinational corporations here, these hotels. We don't hire illegals." I know I say that at my own peril, but I'm just telling you what they're saying at this point, Lou. DOBBS: That is delightful. That is one of the better bald-face lies to emanate from any corner of this campaign so far; luckily it doesn't come from one of the candidates. But the very idea that, you know, that makes perfect sense what you're -- the Democratic folks -- Democratic Party folks said, because we know that these illegal aliens, for example, would never deign or dare to march in the streets of the United States, demanding rights of citizenship when they're here illegally. We know they would never, for example, in any way, violate law with fraudulent documents or identity theft or take jobs with improper documentation. So, you're right. The nation's mind should be at ease on the issue of the integrity of these caucuses. CROWLEY: Well, let me tell you another thing that really is interesting along the campaign trail. Our [senior political] producer, Sasha Johnson, points out that at one of these events with Hillary Clinton, somebody shouted out: "Do you have to be a U.S. citizen to caucus?" So these campaigns understand that there is in fact a language barrier and some confusion about how these Nevada caucuses actually work, so it's going to be a really interesting Saturday, let's just say that. DOBBS: It should be an interesting Saturday. We're laughing about it here. But the reality is, this is serious business. We're talking about the integrity of our Democratic process, and it's an integrity that is not being preserved through the efforts and the concerns of many state governments or the electoral boards across the country. It's a very difficult issue. So the Democratic Party, with all of the assuaging comments, what that really adds up to is they're taking no additional steps to assure that everyone who caucuses is legal and properly there within the caucus. CROWLEY: Well, one of the things they want to -- they say they're going to do here, and particularly along the strip where they have these at-large caucuses where the culinary workers and others by the way will get a chance to go ahead and caucus -- they say, "Listen, they're going to have to show, first of all, an employee ID and they are going to have to sign that affidavit that says: 'Listen I'm a U.S. citizen. I am eligible to vote.' "
The Democratic Party says it will then check that against voter registration rolls, and then, if there's any discrepancies, they will refer it to the state. It's a felony to say that, but you do have to sort of step back and think, "OK, after this is all over and done, what's the incentive to actually take those names and match them up against the registration?" So, you know, they're the ones, you know, obviously, enforcing it, so we'll see how it comes out. DOBBS: Indeed we will. The Culinary Workers Union, with just about half of its membership assumed to be illegal aliens there to begin with, supporting Senator Obama. That ought to be just -- I don't know why anyone would be concerned at all about this situation. Candy, thank you, as always, for your excellent report. Candy Crowley, we appreciate it. There's a very easy reason Dobbs called half of the Culinary Workers Union membership "illegal aliens" when in it's not the case. He, just like the disgraceful, idiotic local cowboy who can't seem to grasp the fact that he sent racially insensitive emails, say that they're against illegal immigration while their backward rhetoric shows a different picture. EPISODE: January Common Council meeting. The laundry list of misleading statements from the Mitt Romney and his campaign is becoming so annoying that finally someone challenged him on his nonsense. The latest claim: Romney stating that he doesn't have lobbyists running his campaign (A FLAT OUT LIE). Mitt Romney's assertion about lobbyists and his presidential campaign was challenged by an Associated Press reporter Thursday. The blogosphere immediately lit up over the exchange. Speaking at a business supply store in Columbia, S.C., Romney was telling reporters, "I don't have lobbyists running my campaign. I don't have lobbyists that are tied to my -- " when AP writer Glen Johnson interrupted. "That's not true," Johnson said. "Ron Kaufman's a lobbyist." Kaufman, chairman of communications firm Dutko Worldwide, is a frequent presence in the Romney campaign. "Did you hear what I said? Did you hear what I said, Glen?" Romney asked. "I said I don't have lobbyists running my campaign, and he's not running my campaign." Keith Olbermann exposes Romney's latest round of crap. Although Olbermann spices and dices Mark Nielsen's Mark Boughton's favorite presidential candidate, Mother Jones goes for the jugular. In a tense exchange with an AP reporter on Thursday, Mitt Romney insisted that even though a registered lobbyist is one of his senior advisers, lobbyists do not "run" his campaign. The claim is part of Romney's new self-styled outsider message: lobbyists are part of a broken Washington system and Romney has nothing to do with them. "My campaign is not based on Washington lobbyists," Romney said. "I haven't been in Washington. I don't have lobbyists at my elbow that are arguing for one industry or another industry and I do not have favors I have to repay to people who have been in Washington for years." In fact, nearly every lobbyist who has endorsed Romney is peddling influence for the health care industry. They represent insurance companies like AIG and New York Life; trade groups like the Health Industry Group Purchasing Association and the Healthcare Leadership Council (which reps "chief executives from all disciplines within the health care system"); pharmaceutical companies like GlaxoSmithKline and Pfizer; and other extensions of the American health care apparatus like the California Association of Physicians Groups, the Council of Insurance Agents and Brokers, the American Dental Association, and the Biotechnology Industry Association. Romney's lobbyists also represent Citigroup, Goldman Sachs, Deloitte & Touche, and most of the major accounting firms. Several of them work for Fannie Mae and Freddie Mac. At least one works for the NRA. Collectively, they represent huge swaths of the energy industry, including big players like the American Petroleum Institute and Chevron Texaco. Romney's pals have also lobbied for the Carlyle Group, Microsoft, American Airlines, the Venetian Casino Resort, the Poker Players Alliance, and TOP Tobacco. Lord knows no one in the Danbury media market will confront the last honest man in Danbury on HIS laundry list of misleading statements to the public. It looks like throwing Lou DeLuca under the bus is coming back to haunt David Cappiello. It's not official yet, as far as announcements and such go, but a fundraising letter is out and a conversation with Tony Nania confirms he is running for the U.S. Congress in the 5th Congressional District. The Republican has long considered a candidacy, but his attention to the matter up to now has primarily been a matter of saying "No" to the suggestions of his supporters. Nania's commitment to running does not come from a passionate desire to campaign and step into the spotlight in Hartford. It's about his disappointment in the Republican leadership, his belief in democracy and a feeling that he is compelled to take on a difficult task he often won't enjoy, but for which he is highly qualified. It's about a sense of responsibility. "I said 'No' for almost a year," Nania said. "I finally realized in looking over the district's problems that I was probably the best Republican candidate. As much as I'd rather do something else, I felt I had to run. Since I've made the decision, I'm very happy with the challenge." Throwing his hat into the ring will force a September primary with state Sen. David Cappiello of Danbury. They will compete for a ballot slot to run against incumbent Dem. Chris Murphy, who defeated longtime incumbent Republican Nancy Johnson two years ago. Nania plans to kick off his campaign Jan. 24 with a reception at Geer Village in North Canaan, hosted by a committee of supporters. Many are members of the Geer Board of Directors who were part of the news Nania made a year ago. They are many of the same people who fired him from his position as the Geer Corp. president. "Back then, we agreed to disagree," Nania said, summing up the evolution of that managerial relationship after the completion of the Geer Village/YMCA senior housing complex in North Canaan. "As individuals, they are supporting me as a candidate. I think that conveys an important message." It's almost an analogy for his approach to the Legislature. There will always be difference of opinions, he believes. The key is being able to be constructively debate beliefs. "Democracy only works with public participation. If we're going to have candidates and legislators who truly represent the public, and if we want to be organized in how we select them, the party system is what works." In his fundraising letter, Nania wrote, "We don't need to avoid candidates with strongly held beliefs, but we do need candidates who have the humility, humor, patience and resolve to work productively with those with whom they might fundamentally disagree, and candidates who also trust the voters enough to tell them the truth. "I hope that I am such a candidate. You can decide for yourself." Good grief, have they no shame. It's bad enough that a police officer allegedly injured a homeless immigrant and dumped him on a road to die, now we find out that other officers were having a laugh at this poor man's expense. There was anger and pain Thursday for the family of a man allegedly left to die by a suburban police officer. The calls obtained by CBS 2 HD were made by Bedford cops last April as they monitored the status of [Rene] Perez on the night he was found dying on the side of a desolate road. *Sgt. Dunn: "Bedford police, Sgt. Dunn." *Officer: "You wanna hear something really funny?" *Sgt. Dunn: "What's really funny?" *Sgt. Dunn: "I thought they pronounced him." *Officer: "They did (ha ha). They're in there seeing him off." *Officer: "They're getting him all ready … and … and he's started … he's breathing again." *Officer: "They're in there and the dude's pickled man." An hour later Perez was dead. Then there was another phone call. *Sgt. Purdy: "Bedford police, Sgt. Purdy." *Officer (singing): "Don't walk away Rene. … What's up?" *Sgt. Purdy: "This Idol competition?" Anival Perez told CBS 2 HD it was painful to hear cops joking about his brother. "It's very unrespectful about the reaction by Bedford police listening and watching about my brother dying," Anival Perez said through a translator. Some might view the joking about Rene Perez as "gallows" humor police sometimes use to lighten what can be depressing work. Asked for comment, the Bedford police chief said, "We are not callous or indifferent. Beyond that I cannot comment on a pending case." After a lengthy investigation led by the Bedford Police Department, Mount Kisco cop George Bubaris was charged with manslaughter, accused of injuring Perez then dumping him on a desolate road. It's not clear if the tapes of the Bedford cops joking will in any way prove useful to Bubaris' defense team. The case is expected to come to trial by early April. Of course, the anti-immigrant bottom feeders in the area reinforce the belief among just about everyone in the state that Danbury is the armpit of Connecticut. Tarheel: ...if this illegal Alien wanted to avoid all this he should have stayed in his native country and not entered the United States Illegally and wasted tax payers money like he did over the years with bogus calls. You want to be "respectful"? Then lets put him in a pine box and mark return to sender! Chief Squantz: ...Too bad. This guy would still be alive if he had stayed in Guatemala...These policemen did nothing wrong. I can't wait until they are exonerated. They should be given medals for putting up with that illegal derelict. HAHAHHAHAHA: What could be funnier than a dead immigrant? Make sure to thank Mayor Mark for the current tone of racism and bigotry in OUR city. 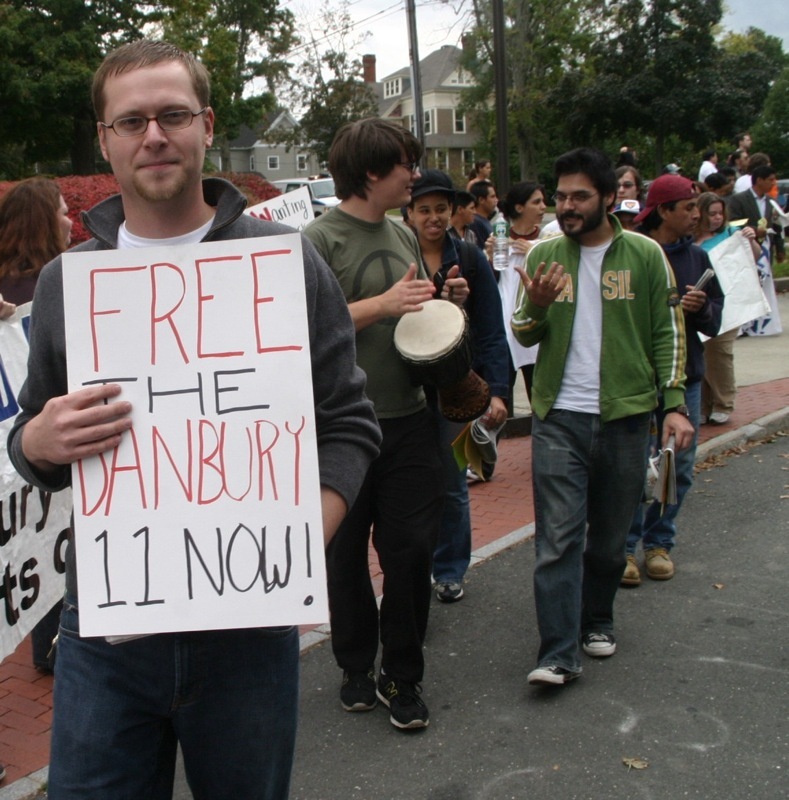 The Fairfield Weekly blast our honest mayor over his latest political stunt, the so-called phone poll, and kindly reminds the last honest man in Danbury that EVERYONE is closely watching the Danbury 11 civil lawsuit. Hello! This is the office of Mayor Mark Boughton. As you may know, the City of Danbury is considering enrolling in ICEACCESS, a program that allows the Police Department to join forces with Immigration and Customs Enforcement to enforce laws relating to illegal immigration and we'd like to know your opinion. Press 1 if you're in favor of ICEACCESS and would like to give the police the tools they need to deal with the law-breakers taking refuge in Danbury. Press 2 if you're against ICEACCESS and want to erode our national sovereignty. Press 3 if you really do want Danbury Police to swoop down on this legion of illegal invaders, bust up their gang-banging, drug-carrying and human-smuggling operations and tell them to "lick the ICE, hombre!" Press 4 if you'd like the nutjobs from Big T's Talk and Variety Show and U.S. Citizens for Immigration Law Enforcement to form a posse. Prensa cinco para oír este mensaje en español. Just for fun, we pressed 5 (cinco) and an unmarked van started circling our building. If you think this is funny, wait till you see what I and other media outlets have to say about the phone poll that wasted taxpayer's dollars as well as the start to Boughton's 4th disgraceful political term. First, Mark Nielsen Mark Boughton's man for president claims that he saw his father walk with Martin Luther King, then his laundry list of flip-flops are exposed, and now this!?! A well-publicized weekend photo-op for Mitt Romney turns out to have been missing a piece of information that might have undermined its credibility: the unemployed single mom at the center of the event was the mother of a Romney staffer. Local and national media outlets, including Politico.com, reported that Romney was the picture of empathy as he sat at the Marshall, Mich. kitchen table of 51-year-old Elizabeth Sachs, a single mother of two who lost her job as a retail manager – as well as her health insurance – and is running out of money as she tries to sell her house to move to Florida. What wasn’t reported – and what the Romney campaign did not reveal at the time – was that one of Sachs’ sons, Steve Sachs, is a paid employee of Romney’s campaign, organizing five counties in Michigan. Romney has campaigned in Michigan on a pledge to help revive the state’s struggling economy. In introducing Sachs, Romney discussed the economic difficulties in the community and described the particular plight of his hostess — but made no mention of her ties to his campaign. "It means a real tough setting for a mom with two sons," Romney said. "One son is still in high school. Another son [is] getting ready to go off into the police academy in the west." Ironically, when it came time to take questions from the reporters gathered around Sachs' kitchen table, Romney joked: "If you don’t want to answer any questions, that’s fine, too. What I’ve learned is, if they ask a question, you can answer something else." "Oh, ok," Sachs responded, laughing along with Romney. "Just talk about the general subject," Romney suggested. Talking to a small handful of reporters after Romney and most of his press pack had left the kitchen, Sachs offered details about her age, job situation, and her effort to sell her home. When asked about her children, she only said that one was "20, soon to be 21" and that another was a teenager. You know, this man is like a gift that keeps on giving. After all of the fuss the media and the rightwingnutosphere made over Sen Clinton’s campaign coaching a questioner in Iowa, I wonder how much attention this will get? I don’t know about you but if you ask me this seems all-too reminiscent of Bush’s fake photo-ops, fake WMD evidence, fake Iraq news stories, phony pressers, and fake town hall meetings so he could “catapult the propaganda.” Does America really want to go down that road again? As a follow-up to a citizen dialogue on immigration held at Gateway community College last fall, in December Connecticut Public Television hosted a town hall meeting on immigration at Wilson Branch Library in New Haven. The panel at the meeting included New Haven Alderman Yusuf Shah, State Representative Vincent Candelora, State Sen. Edward Meyer, and...Mark Boughton. It also featured the cast the cast of local New Haven/Brandford based goon squad, headed by Elise Marciano carbon-copy anti-immigrant extremist Ted Pechinski of the Southern Connecticut Citizens for Immigration Reform. As you'll see, the rabid xenophobes were foaming at the mouths, attempted to take over the meeting (which is the anti-immigrant stand public relations tactic during these types of events) and threw out so much misinformation that even Mayor Boughton had to correct them on one occasion (at which point I fell out of my chair). It was reported by our friends at the New Haven Independent (who've done a great job keeping an eye on Pechinski's group) that the real fireworks happened after the meeting when Pechinski's goons went into freak-out mode and made real asses out of themselves. Although CPTV taped the meeting back in December, they only broadcast the event last Friday. For those who missed it, here's the program in it's entirety. 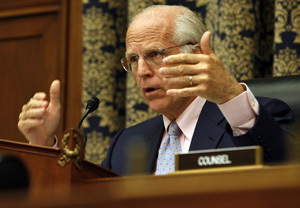 At today's Congressional hearings on steroids in baseball, Chris Shays is the most clueless Congressman in Washington. Rep. Christopher Shays (R-CT) delivered an embarrassing laundry list of mistakes and mispronunciations that pretty much removed all doubt as to whether Shays actually cares at all about baseball. The highlights: referring to the Black Sox as the "Blackhawks;" pronouncing Palmeiro "Palmeiree" not once but twice; referring to Mr. Palmeiree's "three hundredth" hit; and mispronouncing Bud Selig's name. From the idiots who don't seem to understand the concept of keeping their mouths shut during an ad-hoc/committee of the whole, and Mayor Boughton attempting (and FAILING) to answer for his statements he made in 05 and 06 regarding not wanting to use local police to enforce immigration laws, to the admissions from Chief Baker regarding the amount of REAL knowledge he has about 287G, last nights meeting was one for the ages. YES I videotaped the entire meeting and YES I'll post the entire meeting. It's going to take some time to process everything since I used two video tapes. A similar body was created after Danbury experienced race riots in 1967, Riley said. ...the riots in Danbury happened in 1976. Don't worry, the way things are going (i.e. shooting out the windows of immigrant rights supporters that went unnoticed in the press BUT NOT unnoticed in the immigrant community), you might see another one in the near future. UPDATE: Okay guys, give Eugene a break. He knows about the error and the correction will be taken care of so please stop emailing me about it. Just wanted to take a moment to thank you for your long term, consistent work in continuoously featuring on hatcityblog news of Mayor Boughton's anti-immigration and anti-community activities. When the NY Times writes an editorial about Danbury, somebody is doing something to bring that town to their attention. I have to believe that your work has something to do with it, but either way, you've done tremendous service to the community in highlighting and calling out this mayor's attitudes and policies. Thanks...and trust me, you haven't seen anything yet...I'm about to turn the heat up in Danbury. About one month and a half ago, one of the silliest things I've ever heard happened at City Hall...it was reported from several sources at 155 Deer Hill Ave (and verified by my own eyes) that this site was BLOCKED. Yes, you heard it correct, access to HatCityBLOG was blocked at City Hall while all other sources of local media WERE NOT BLOCKED. I've seen some silly things in my time here in Danbury but blocking a site, knowing that doing something like could lead to a public relations embarrassment will probably go down as one of the dumbest moves in recent memory. In fact, it was on honor to expose the hysterical nature of puppet masters at City Hall. I guess after the Deer Hill Avenue crew thought things through (and me suggesting to several people in the know that dealing with series of phone calls from the media and having to explain why this site was being singled out probably wouldn't look so good for those at City Hall), I'm happy to announce that HatCityBLOG is unblocked and all is good in the world. 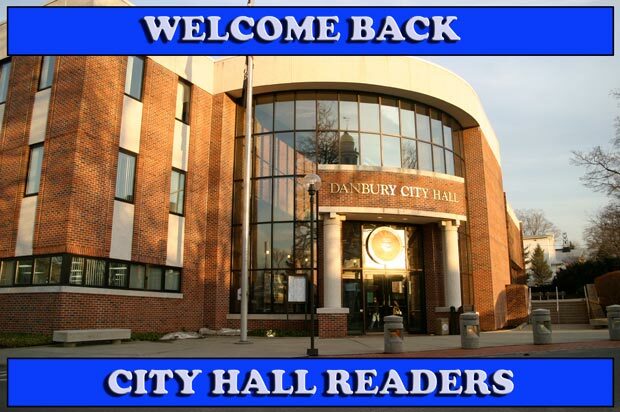 Welcome back City Hall readers...we missed you guys!